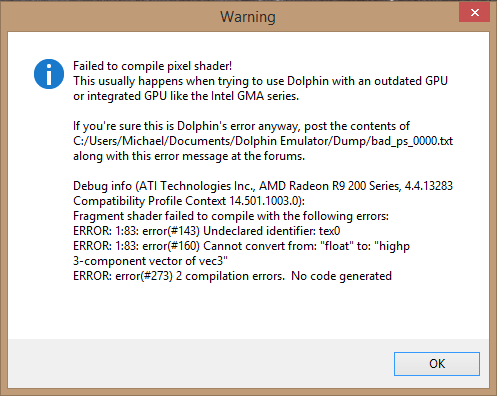 I tried to run Metroid Prime 2 using the OpenGL backend in 5487 after switching from 5396 due to issues with that game on that build, but the backend fails to compile shaders for the game. This doesn't happen with Metroid Prime or any other game I test. The game blackscreens in Direct3D but there are no error messages. Sound indicates the game is emulating fine otherwise. What GPU driver version are you on? I reported this bug to the Google Code tracker - it turns out to be a problem with Sync GPU Thread. Seems to be broken in current builds.